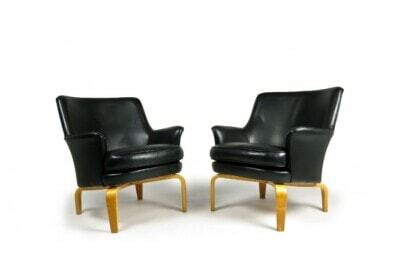 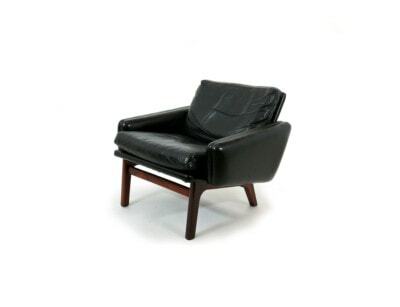 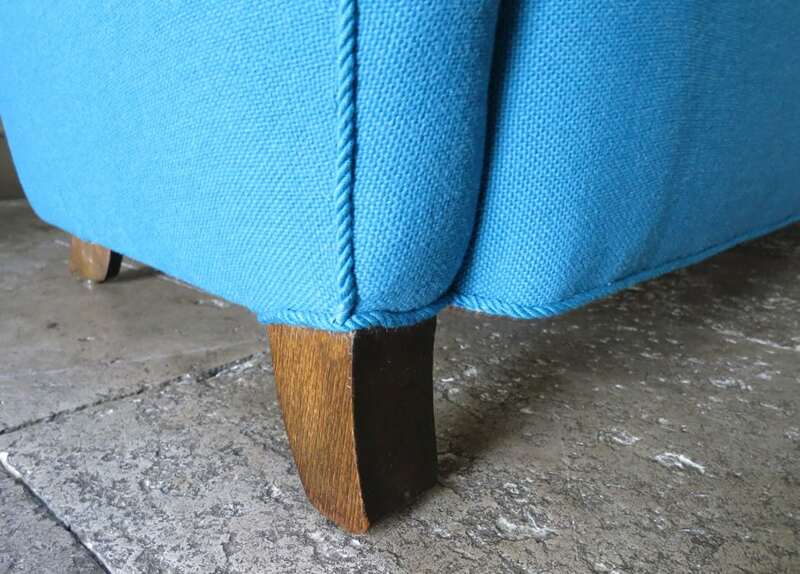 A beautifully designed high back Danish sofa dating from the 1940’s. 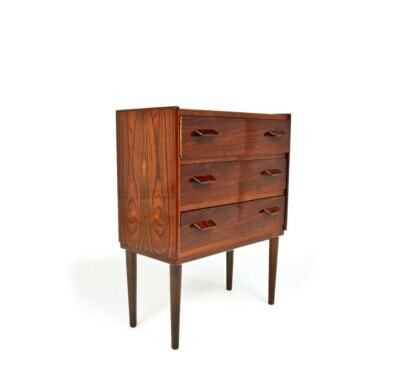 Delicate soft organic curves and lines to this piece, in a rare high back design. 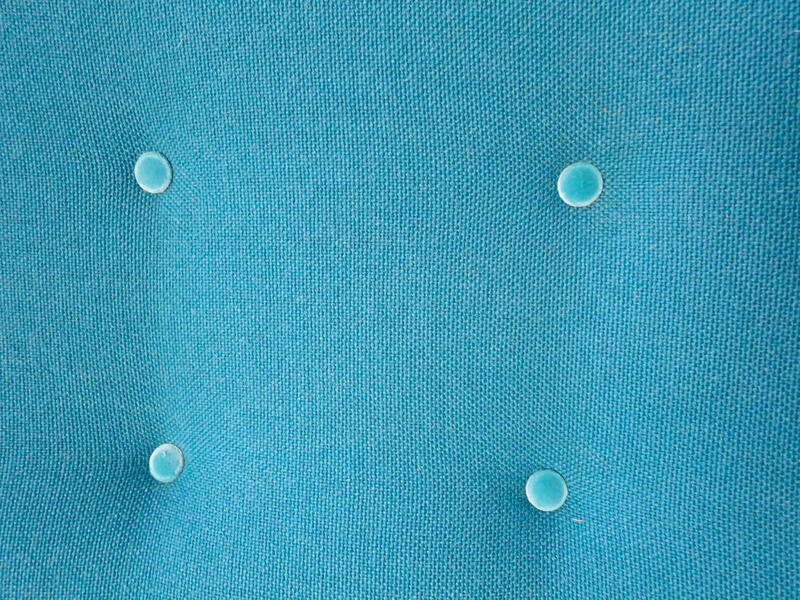 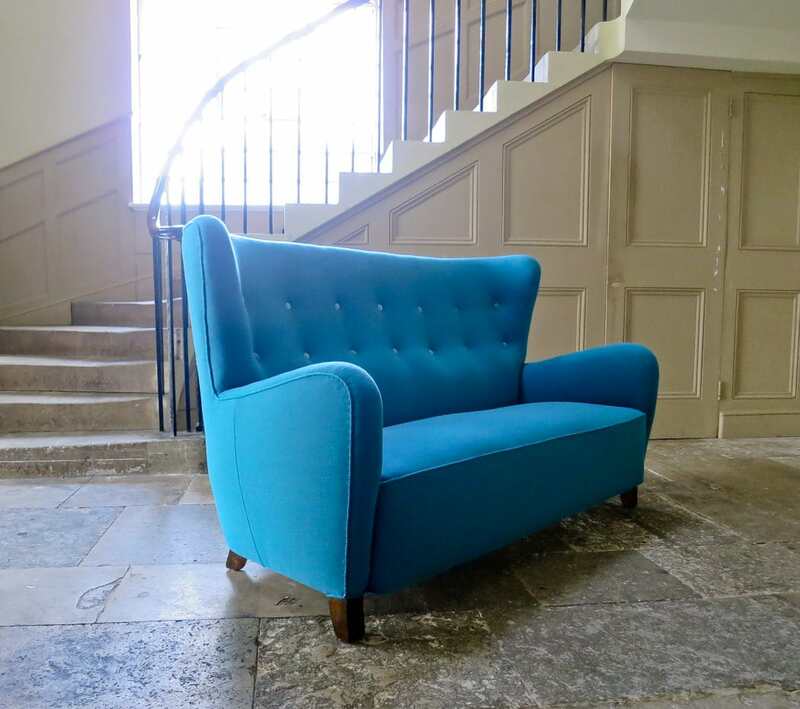 Newly upholstered in teal blue wool upholstery with velvet buttons and teal trimmings, all in an excellent original condition. 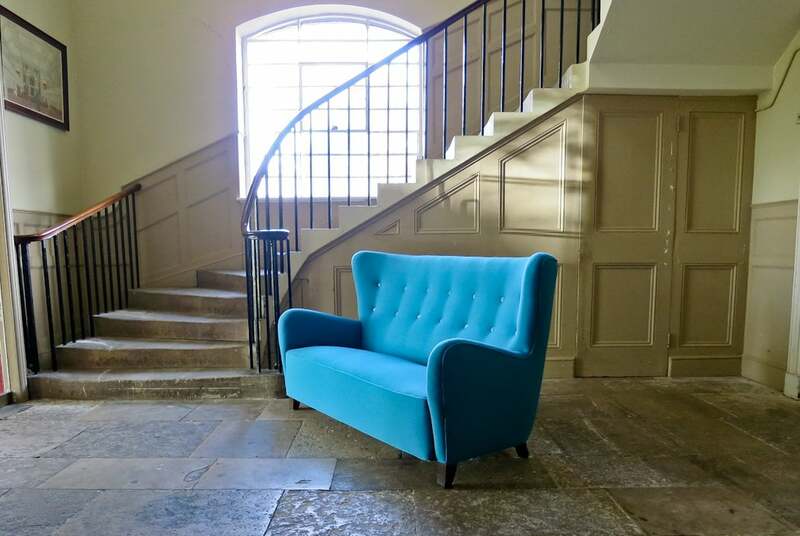 A magnificent sofa, a really good example of mid century furniture which is very comfortable as well. 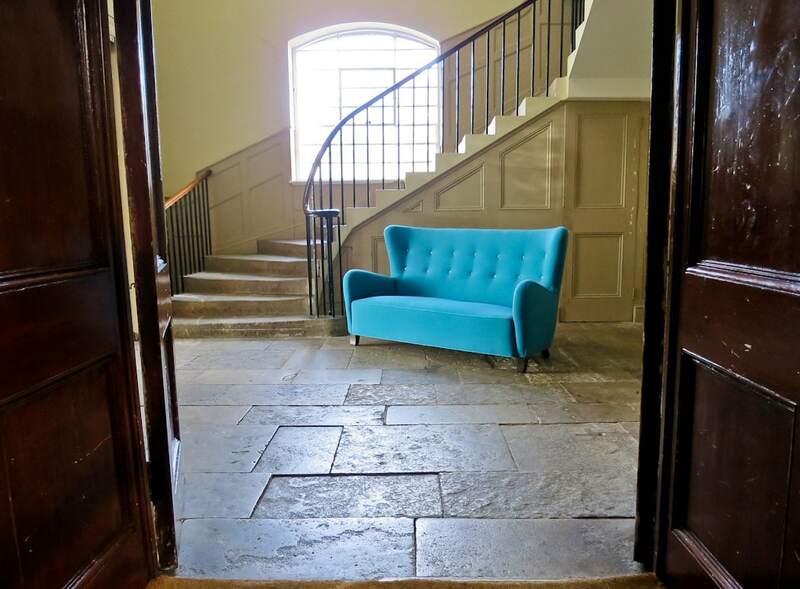 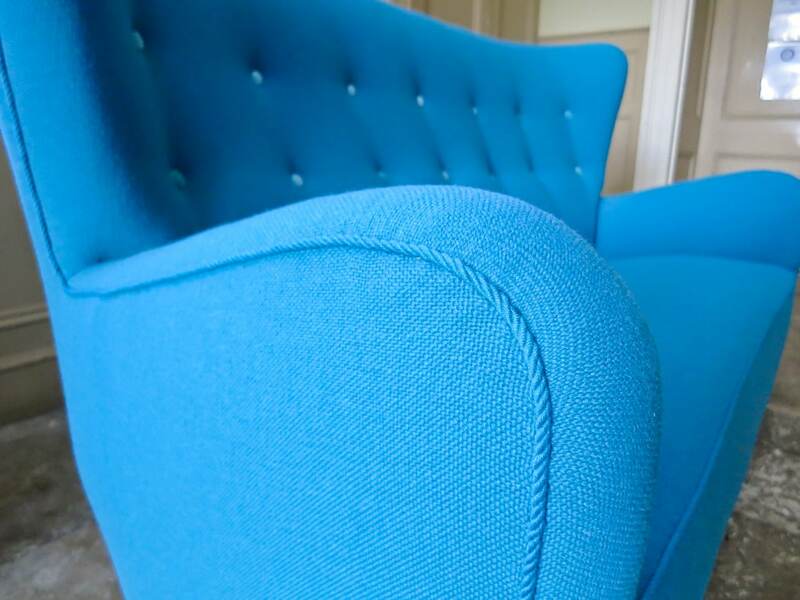 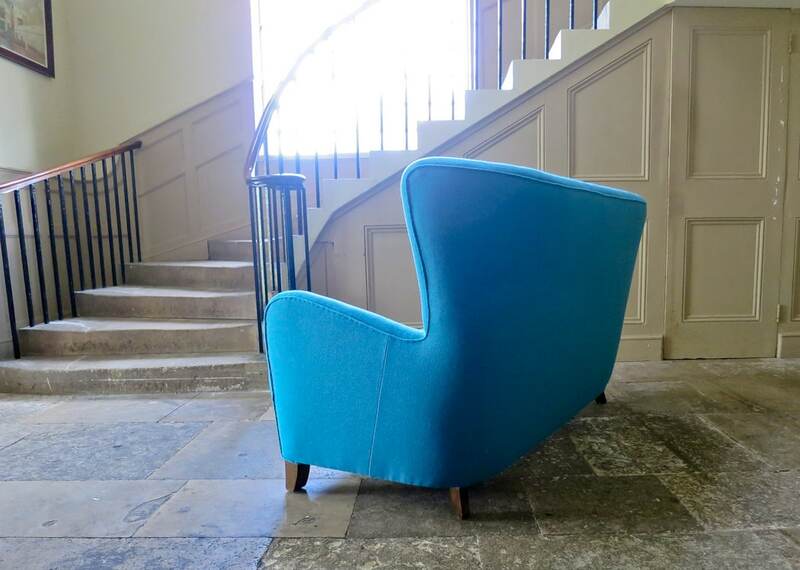 Beautiful lines and shapes to this piece upholstered in a stunning teal wool which really stands out. 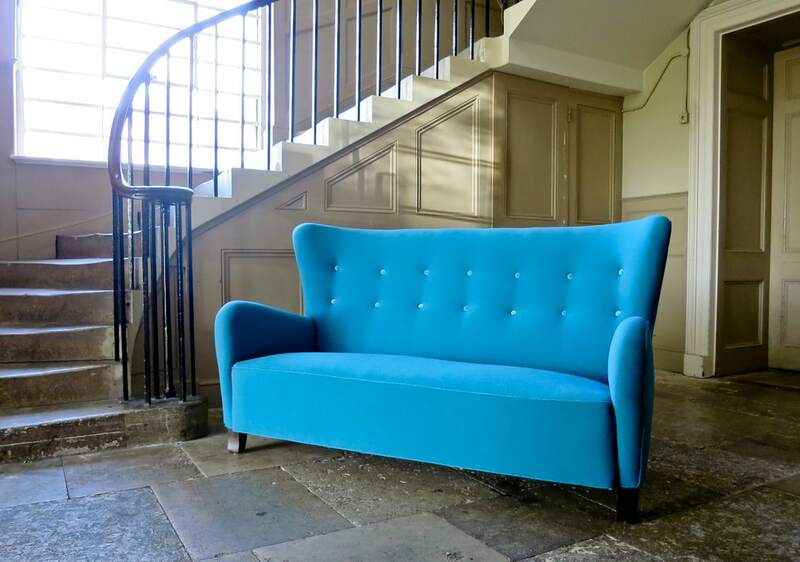 This elegantly designed Danish sofa would be a real statement piece for any home. 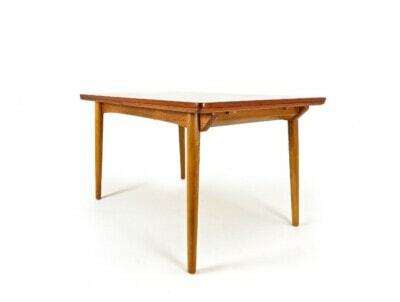 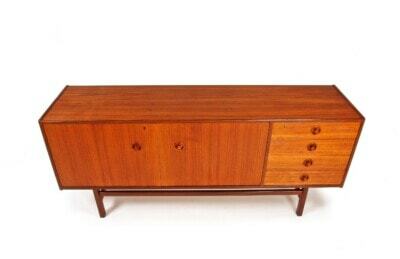 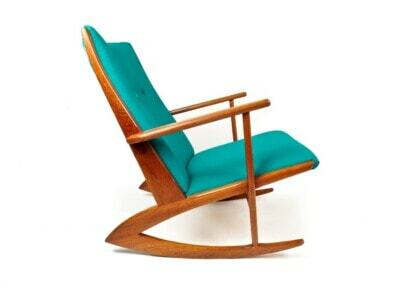 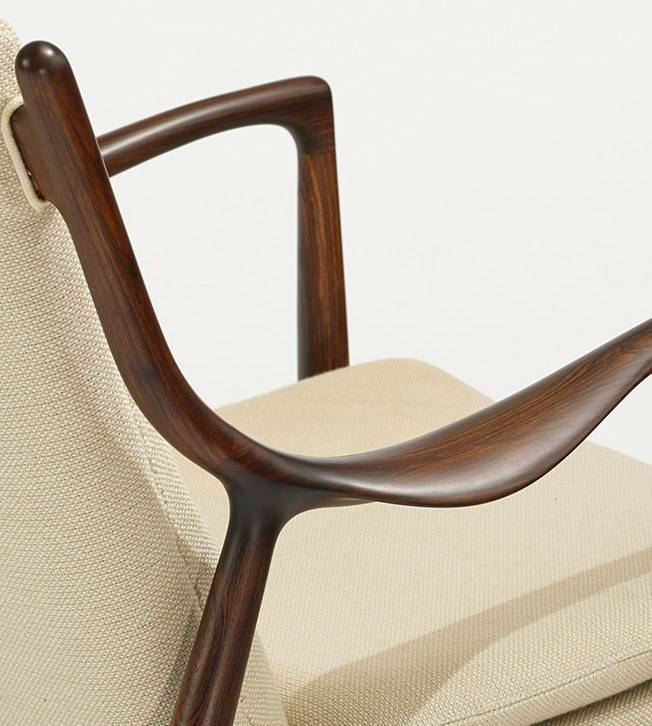 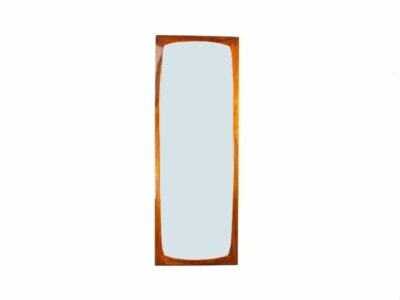 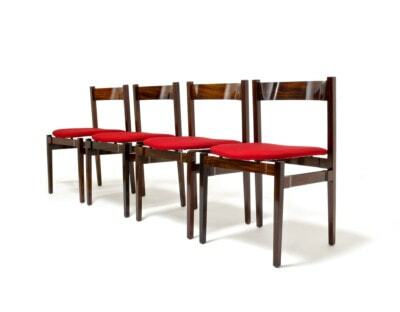 A really admirable piece of mid century furniture design brought from Denmark. 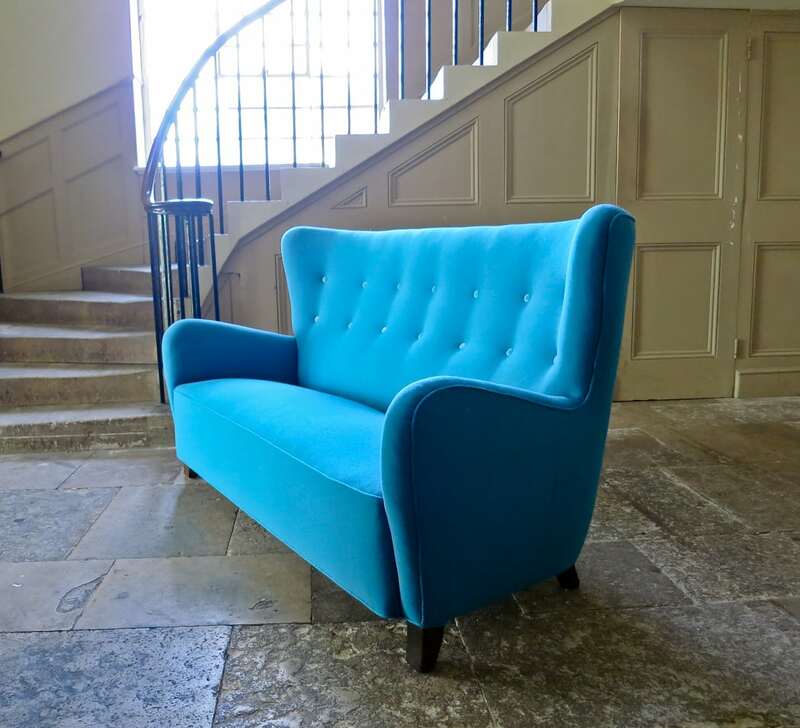 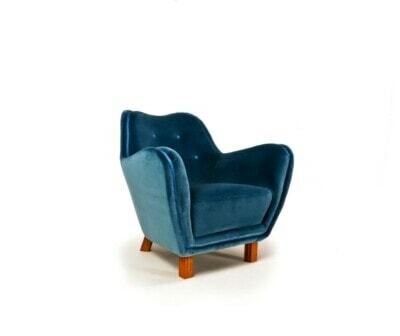 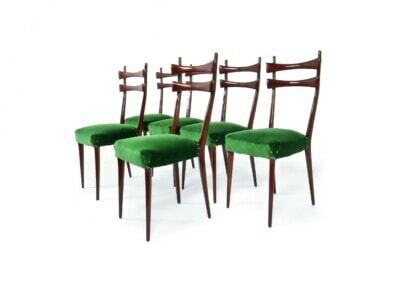 Fully restored and reupholstered in wool with velvet buttons which give a subtle accent to the piece. 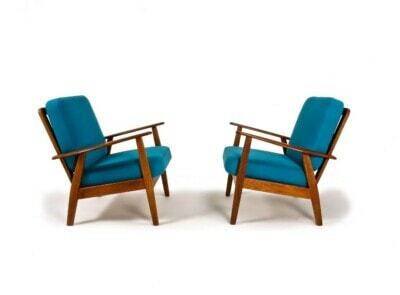 A lovely Danish sofa from the 1940’s, a rare design that definitely stands out.